"Il fait froid! This morning it was 0°C! 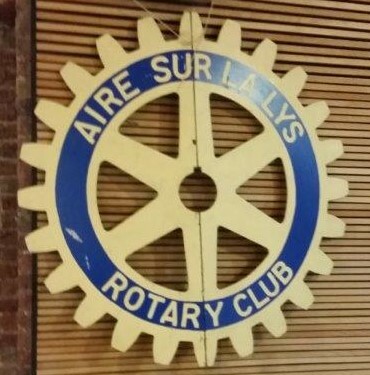 "Last night I attended my first Rotary meeting, it was very long! It went from about 8pm to 11pm. "The food was delicious! 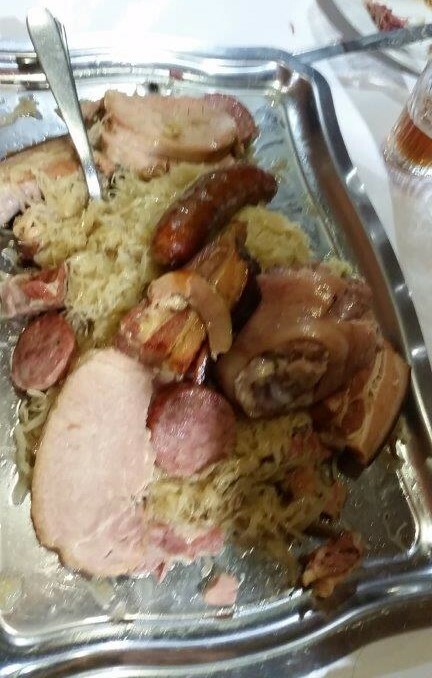 We had a massive dish of choucroute along with pork belly, shoulder and two different types of sausage! I have included a picture after the plate was refilled for a second time. "I was formally welcomed by a Rotarian called Mr Rhys who also happens to be my vice principal. I also did the drawing for a raffle! "The building we were being hosted in was built in the 17th century for the military. I forgot to get a photo - sorry! I met many French Rotations last night who were very nice and interested to me. Overall last night was a success. I've been told that the exchange students generally try attend two meetings a month (generally the one's that include a dinner)." 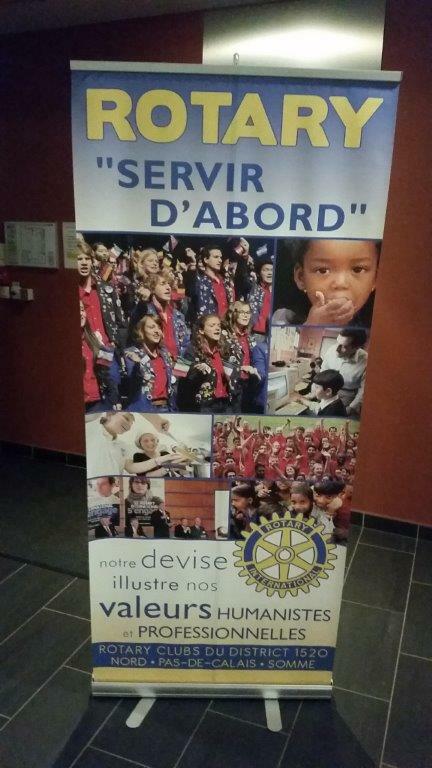 For those who may be interested, the banner for the Rotary Club of Aire sur la Lys says: 'Serve First' and (underneath the pictures) 'Our motto illustrates humanitarian and professional values'. Original generation time 2.7967 seconds. Cache Loaded in: 0.0453 seconds.